The Caledonian Road two-way traffic scheme is not working as planned and, in its current form, has caused inconvenience and distress. At a public meeting on Monday 8th June, local Councillor, Paul Convery, apologised to those affected and promised that flaws in the scheme would be fixed. Cllr Convery assured the 50 local residents at the meeting that the number of vehicles on Wharfdale Road has not increased as a result of the scheme. However the flow of traffic is irregular because the phasing of traffic lights at the corner of Wharfdale Road and Caledonian Road does not allow sufficient time for traffic to move from Wharfdale Road into Caledonian Road. He admitted that the traffic signals are not properly phased but was confident this would be fixed within a fortnight. Although the re-phasing had been promised in March, a technical problem with the system has prevented the “traffic optimisation” electronics from working properly. Unfortunately I couldn’t attend the meeting on Monday night and nor could most of the bus users on routes 91, 17 and 259. 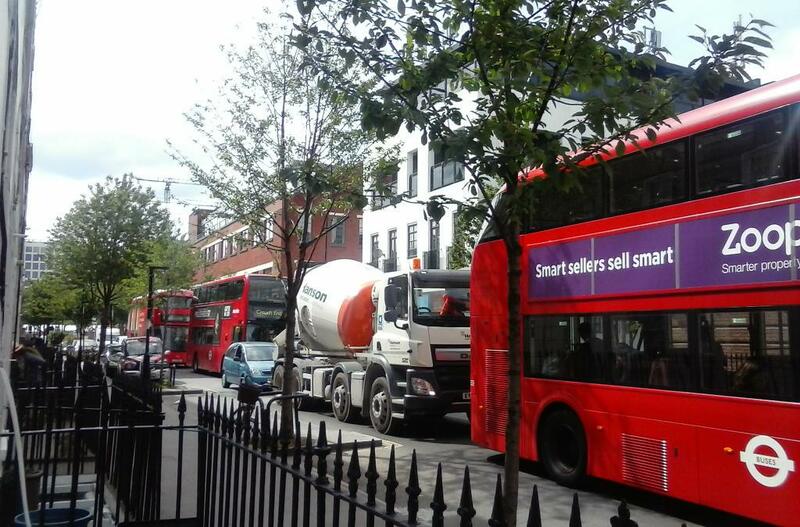 It’s all very well to favour the residents of Wharfdale Road by changing the traffic lights at Caledonian Road, but.what about the hundreds of people who use the bus who are late for work and appointments due to traffic jams on Caledonian Road caused by the new two way system traffic lights? I currently have to leave home 20 minutes earlier than before the implementation of the new two way system if I’m to be on time for hospital appointments at peak times and I can only imagine the frustration of daily commuters on this route. Surely traffic schemes should be designed to enable traffic to keep moving not to pollute the atmosphere with stationary jams. Please consider the traffic in Caledonian Road when changing things yet again. Incidentally I have only ever seen two cars on the northbound new two way system and they were taxis. We live in Caledonian Road in what was previously the one way system and since the change to two way working there is less standing traffic than before. As for vehicles travelling north, just now in fifteen minutes I counted ten cars and two bicycles. With reference to measures being looked at “to protect residents from excessive standing traffic” you mention reviewing parking conditions in the bus lane. What exactly does this mean? Being able to park outside our homes in the evening and especially at weekends is greatly valued by residents, for our own use and amenity, and for visitors. We wouldn’t want to see that eroded. A single lane of southbound traffic also produces far less pollution even when it is stationary, and is also pushed further away from the pavement with measureable benefits for residents and pedestrians.